Virgin Soul, a novel by Judy Juanita, Viking, New York, 2013, 320 pages, $26.95 hardcover. 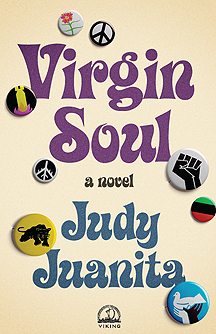 In her powerful novel, Virgin Soul, author Judy Juanita describes the formative years of a talented young woman's life as she journeys through territory new to herself and to most of the young people of her particular generation as well, as the novel takes place during the tumultuous sixties and early seventies of the twentieth century. As readers watch Geniece progress past the academic hurdles common to students (and writers) everywhere, they are also able to note her introduction to the inevitable changes in the society which surrounds her. In leaving her family home, Geniece must now live in various dorms and digs, alone or accompanied by roommates. Some of her new digs are charming, and others—although shabby—provide her with friends, colleagues, and even lovers. As she traverses the various low-rent neighborhoods of the San Francisco Bay Area, Geniece learns to navigate the worlds of academia, friendship, and eventually, of sexual relationship as well. At the same time, Judy Juanita's feisty heroine earns her college credentials, her expertise as a writer and editor, and her affiliation with some of the great young radicals of her day. 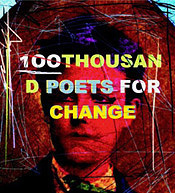 And as Geniece progresses through these new and vividly portrayed worlds, she begins to discover her own talents as a journalist, which mesh remarkably well with the atmosphere and attitudes of the political heroes of those decades, who have exemplified and formed, at least in part, the socio-political world we face today. There have been many works of literature documenting this period of recent history and its political movements in the U.S., but Virgin Soul is the first, to this reviewer's knowledge, that specifically describes the concerns and views of a courageous young woman as she takes part in the radical movements of that era. From the opening pages of the book, Juanita's protagonist, Geniece, is called upon to live in a state of self-examination and self-reliance, and the theme of her constant and steady labors—as a student, as a mentor to poverty-stricken children whom she supervises for an organization in which she believes, and as a radical journalist in her own right—mesh and blend with her transforming self-concept, her many friendships, and her romantic involvements. During her student years and career as a young journalist, Geneice goes without sleep for days on end, only to see herself overlooked or preempted by someone who more closely fits the image of a glamorous partner for the powerful leaders beside whom she struggles. As Judy Juanita points out throughout the novel, the standards of beauty as based on racial stereotypes prevail even in the world of radical politics. But in this fast-moving, character-rich, and well-written novel, the author also displays what this reviewer considers her protagonist's most engaging asset: her unsparing honesty, and the passion and exuberance that seem to motivate and spur her voice and way of life. These are all qualities that eventually cause Geniece to join the Black Panther Party. And throughout all her incarnations, through the years of Geniece's development as a student, as a friend, lover, protector of children, and writer of myriad articles for the radical press—she is motivated by her passion for the point of view and needs of Black Americans, and by the writings of the great African and African-American radical leaders and journalists themselves. However, and not surprisingly, this richly embroidered novel allows Geniece to develop into a woman writer of deep sensibility and powerful judgment, as well as a profound observer of the world around her. Through Juanita's words, we get to explore the deeply rooted causes of anger and misery in the African-American community, and to meet its heroes and heroines, as well as encountering the many setbacks which too often befall those who are struggling for equality of status and earning power: the Black American underground. Whatever this entire struggle has been—and still is—about, Judy Juanita is unapologetic when describing the enormous divide between Black and White reality, and even that between the worlds of the relatively affluent sons and daughters of the Black middle class—as depicted in the novel—and those with fewer acquired skills with which to "make it" in our complex and difficult world. Clearly, Juanita shows us the racial divide and its many repercussions, which seem—even now—to stand between individuals and groups like an almost impassable barrier. Mimi Albert is fiction editor of Poetry Flash. Her novels include Skirts and The Second Story Man. 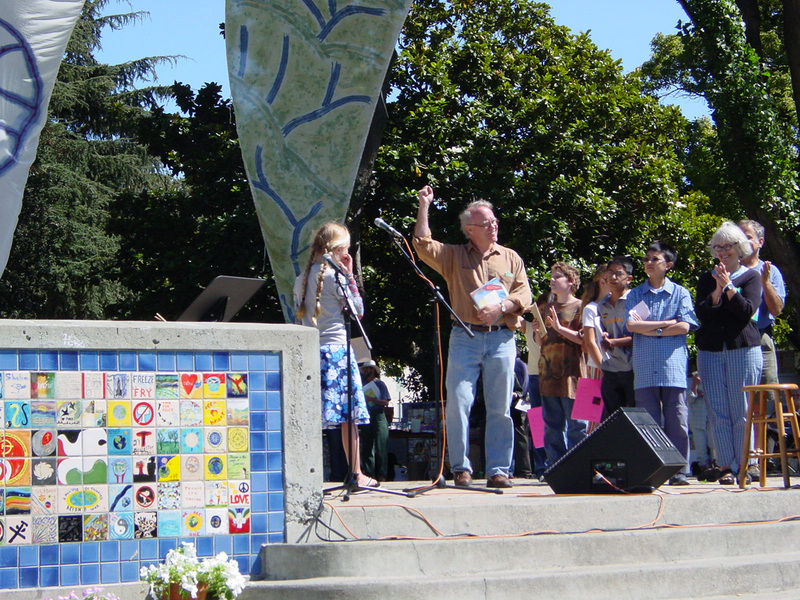 She has taught fiction writing online for UC Berkeley Extension and lives in Oakland, California.